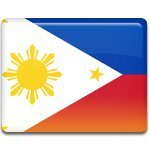 The Philippines had six constitutions since the proclamation of independence in 1898. The first Philippine Constitution appeared in 1899 and it was called the Malolos Constitution. During the next hundred years four more constitutions were used as the governing laws of the country. The sixth constitution was adopted after restoration of democracy in 1986. This constitution is currently used in the Philippines. The adoption of every new constitution required the changing of Constitution Day in the Philippines with a corresponding proclamation issued in order to celebrate the new date. The current constitution of the Philippines came into force on February 11, 1987, after it was proclaimed by President Corazon C. Aquino. His proclamation included the results of the plebiscite, held on February 2, 1987. The celebration of Constitution Day was ratified to February 2 in 1988, and this proclamation is still used up to today.